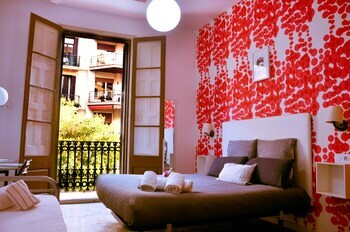 Have you thought about locking in a Barcelona vacation package? It's simple with Expedia, and you'll be able to buy a few fancy meals or souvenirs for your buddies back home with the money you save. We've got more than 400 partner airlines and 321,000 worldwide properties to pick from around the globe, which means your dream vacation is just a few clicks away! 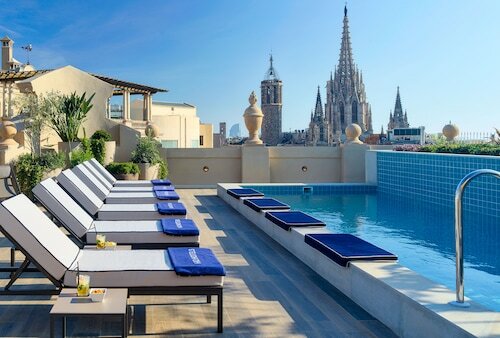 About to go on your Barcelona vacation? Can't work out what sorts of things to put on your travel itinerary? Don't stress — we're here to give you some suggestions. If you only had one day in Barcelona, you'd want to spend it at Sagrada Familia. An iconic attraction that you won't soon forget, it brings in crowds of visitors from across the globe. Boasting attractions like Casa Mila and the Casa Batllo, you'll never have a dull moment in this bustling city. 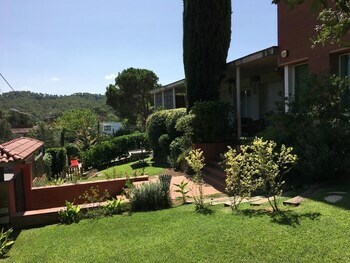 When you're done checking out those, continue in the direction of Barcelona Cathedral and Park Guell. If you fancy some sunshine and a workout, don some comfy sneakers and make your way right to the summit of Montjuic. 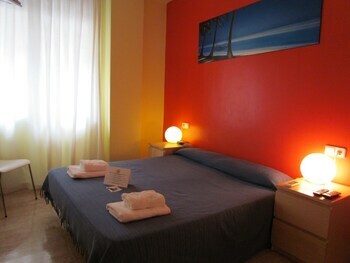 There's a fabulous range of things to keep you busy in this destination. Sure, dancing along to tunes through headphones is nice, but you can't beat the excitement of watching a mind-blowing live performance! So why not book front-row seats to a concert at Palau de la Musica Catalana? Still have time to spare? As you sightsee around Arc de Triomf, be sure to look up and admire its decorative features and durable structure. This important monument deserves to be observed from every angle. Embrace everything there is to see and do and head home with the best souvenir of all — fond memories of your fabulous vacation! 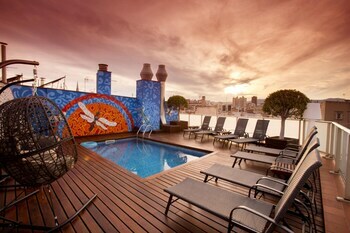 For a complete guide to activities, check out the Barcelona things to do page. 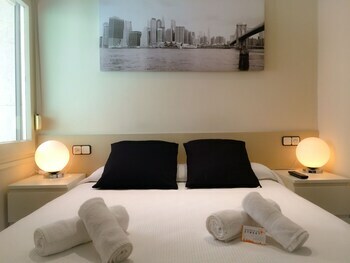 After a full day of seeing the sights in Barcelona, put your feet up in one of 782 accommodations. The greatest luxury getaways and cheap vacations are just the beginning at Expedia. 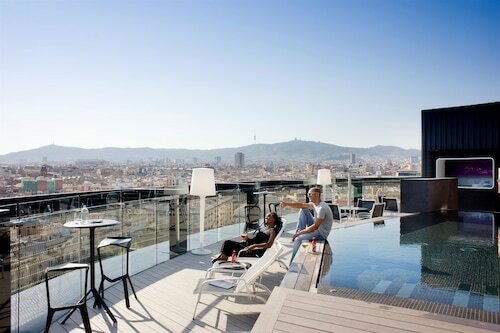 If a generously stocked minibar and a swish bathtub sounds good to you, grab a bottle of wine and bathe in luxury at the Mandarin Oriental, Barcelona (Passeig De Gracia, 38-40) or the Hotel Arts Barcelona (Marina 19–21). If you don't feel like coughing up such big bucks, why not spend your nights somewhere less expensive? 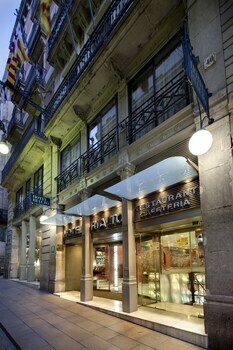 Try the W Barcelona (Plaça Rosa dels Vents, 1) or the Mercer Hotel Barcelona (Carrer del Lledo 7). When you're seeing the sights of Barcelona, you'll definitely want to check out Sagrada Familia. 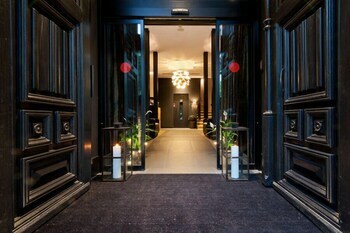 The Central Apartments Barcelona is about 0.5 miles (0.8 km) away, and the castro Exclusive Residences SPA Sagrada Familia is a mere 0.2 miles (0.3 km) away. 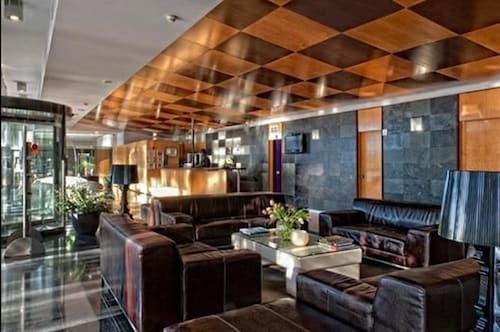 We know the airport won't be the most enjoyable moment of your getaway, but there's nothing like the feeling of knowing that your well-earned trip to Barcelona is a mere plane ride away! 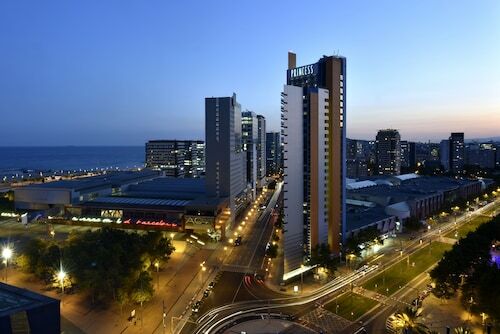 Once you take off your seatbelt at Barcelona International Airport (BCN), you'll be 7 miles (11 km) from the heart of town. A vast collection of Catalonian art from the 10th to 20th centuries awaits in one of Barcelona’s most emblematic buildings. Look out over the city from a Gaudí-designed terrace in this park in the city’s north. This museum on Barcelona’s port gives an insight into the city’s important maritime history in the 18th and 19th centuries. An old fort, a national art museum and miles of walking trails are features of this park overlooking the harbor. This concert hall is an awe-inspiring example of modernist architecture. Tour the building or get in early for tickets to a performance. This zoo in Barcelona’s central park houses about 4000 animals, from pygmy hippos to bottlenose dolphins. Learn about Barcelona’s protected coastline and walk beneath sharks in an underwater tunnel at the city’s aquarium. Take in the large domed ceilings and artistic details in one of Gaudí’s earliest buildings. Visit one of Europe’s biggest science museums for a fun and educational day out with the whole family. 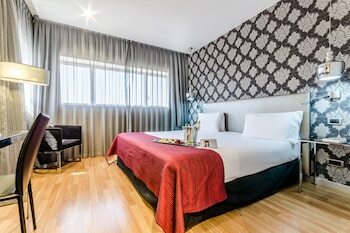 Located in Ciutat Vella, this luxury hotel is steps from Rambla del Raval and Raval Cat. 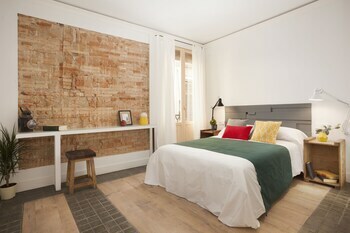 La Rambla and Boqueria Market are also within 10 minutes. Liceu Station is 7 minutes by foot and Parc de Montjuic Station is 7 minutes. 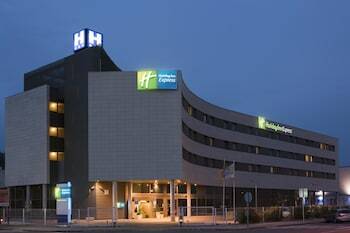 Hotel Barcelona Princess is next to the Fórum, Barcelona's International Convention Center, a few minutes on foot from the beach. 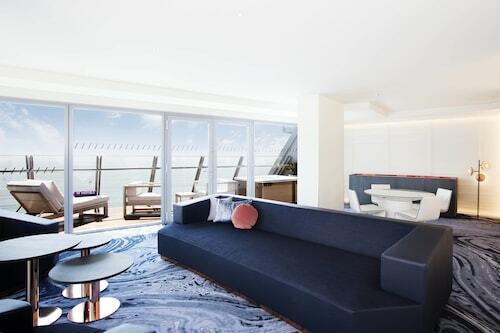 Guests can hop on the subway a block away and ride 20 minutes into downtown Barcelona, or catch the sightseeing bus that stops right by the door. Chubu Centrair Intl. - Barcelona Intl.